Matt Reel, a native son of Tennessee, is running for Congress in Tennessee’s 7th Congressional District. He owns and operates the family farm he grew up on in Hickman County, while also serving for the last 15 years in the United States Army National Guard. He has served as the deputy chief of staff for both former Tennessee Representative Lincoln Davis and current Alabama Representative Terri Sewell; he most recently served as the Democrat’s deputy staff director on the House Veterans Affairs Committee. In October 2017, current Representative Marsha Blackburn announced she would not be seeking re-election but, instead, would be running for the Senate seat being vacated by Bob Corker. In December, Reel announced his campaign for Blackburn’s open seat. On August 2, he will face off against former entertainment industry professional and former reality show contestant Justin Kanew in the Democratic Primary to see whose name ends up on the ballot in November. However, Matt Reel faces a much larger challenge than just being a non-politician running for office as a Democrat in a historically Republican place like Tennessee. 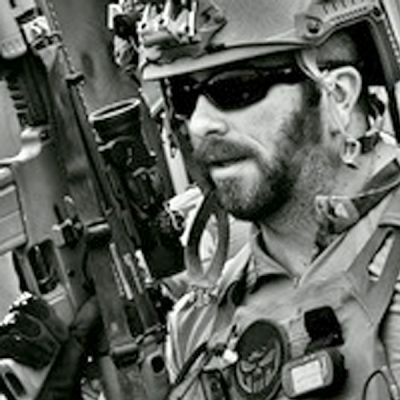 Matt Reel is currently deployed to an unspecified location as a member of his Special Forces team, operating in support of Special Operations Command South’s (SOCSOUTH) mission. Much of the SOCSOUTH missions in Latin America focus on counternarcotics and counterterrorism, as well as combating human trafficking. SOCSOUTH manages more than 200 Special Operations deployments every year, with an average of 42 missions being conducted in 16 countries at any given time. Unsurprisingly, running for office while deployed as a Green Beret brings a unique set of challenges to Reel’s campaign. Due to Reel’s unique position, he will be unable to campaign personally until June, just two short months shy of the primary that will determine if he is even on the ballot in November. “While Matt has been on active duty since January, surrogates and family have been running the campaign on his behalf,” said Carol Brown Andrews, spokeswoman and strategist. In 2008, the Department of Defense laid out the current regulations for what service members on active duty can and cannot do while campaigning for public office. They cannot personally raise funds for their campaign. They cannot personally solicit votes. Most limiting of all, they cannot participate in any and all “behind-the-scenes” activities that are required to keep a campaign moving. This means that Reel cannot legally communicate with members of his campaign about any strategy or approve any messages or campaign materials. Luckily for Reel, he already knew that he was deploying when he announced his intent to run for office. This gave his campaign a very small window in which to generate materials, shoot videos, get websites up and running, as well as create a social media presence. Reel’s team of surrogates are now having to call all shots for his campaign as long as he is deployed. Any Twitter message or website update has to be legally conducted without Reel’s approval. That means that his team has had to run the entire campaign off of the hours they had with Matt before he deployed, enabling staff to discuss his stance on any conceivable issue, as well as what his vision and message looked like to him. “Our campaign has assembled a top team to handle media, mail, polling, research, fundraising, and digital consulting strategies on Matt’s behalf because we have every intention of running a smart, efficient campaign as disciplined as Matt’s military service. The team is now working with them to complete the circle, and we will be in full force when Matt is allowed to join the campaign,” Carol Brown Andrews explained. Now that the race is really starting to heat up, the Reel campaign has brought in some hired guns. This week, Reel’s campaign announced they were bringing on a team of strategists who specialize in getting Democrats elected in Republican districts. Reel will likely face a challenging fight in November if he ends up winning the primary, as his challenger will likely be an Army veteran himself. Republican State Senator Dr. Mark Green is a retired Army flight surgeon who also has extensive Special Operations experience. He was first elected to the Tennessee State Senate in 2012; Dr. Green most recently made the news earlier this year when nominated by President Donald Trump to serve as the Secretary of the Army. Dr. Green withdrew himself as a nominee on May 5th, citing “false and misleading attacks” against his life in public service and his Christian beliefs.